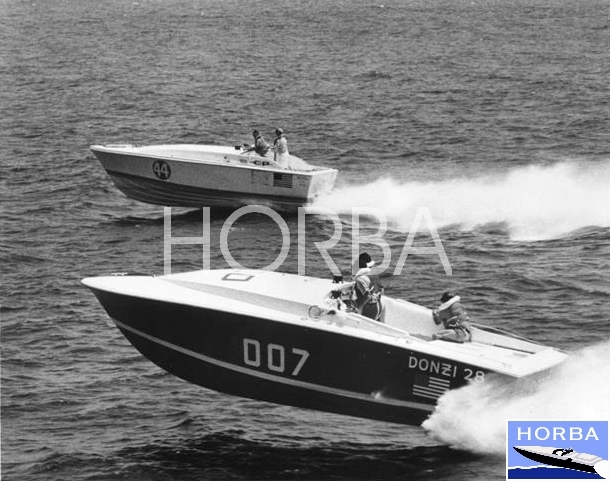 I just want to take this opportunity to thank HORBA and Charlie McCarthy for remembering and memorializing, through pictures for all to see, some of my Dad's accomplishments in the world of offshore powerboat racing. 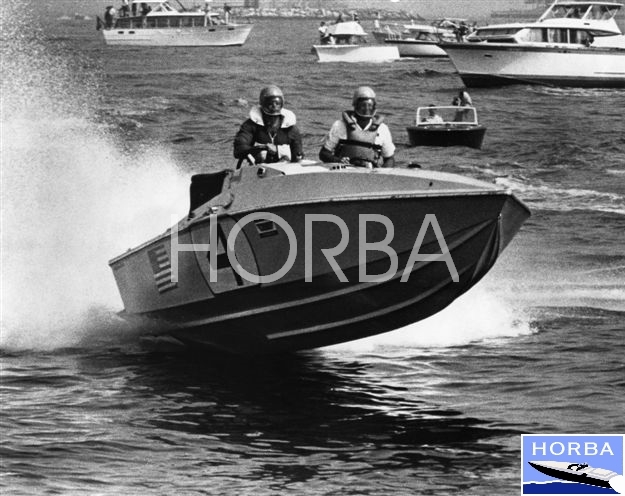 These pictures help show those who were not around during the day the profound effect my Dad's years of tireless innovation, experimentation, building and racing have had upon modern day offshore power boating throughout the world. 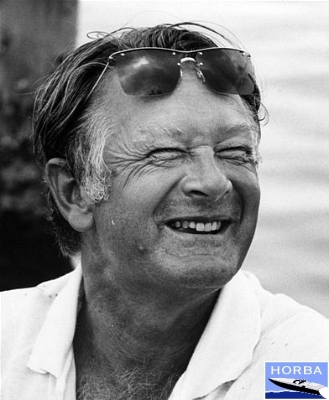 I hope that you, as a new Diamond Anchor Member, enjoy the celebration of this, my dad's 80th birthday, in this way. 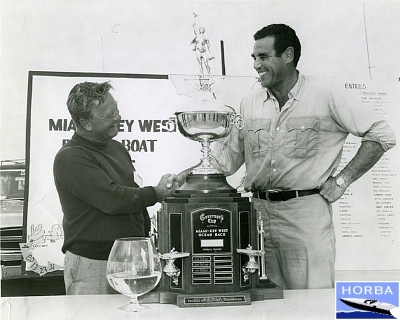 This is a special section devoted to Don Aronow and his influence on the sport of offshore racing. 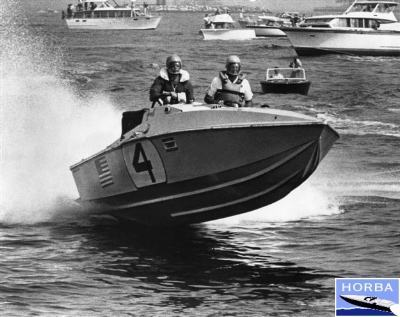 Over the next few months, this section will be expanded as we take a look at each of the boat companies that Don founded — Formula, Donzi, Magnum, Cigarette, Squadron XII, and USA Racing. 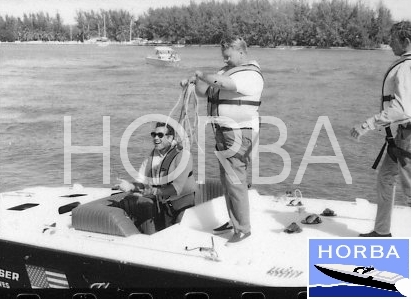 Don Aronow, who was seen later in his career racing without a helmet, is shown here racing an ealry Formula boat in the Bahamas wearing no helmet or life jacket. 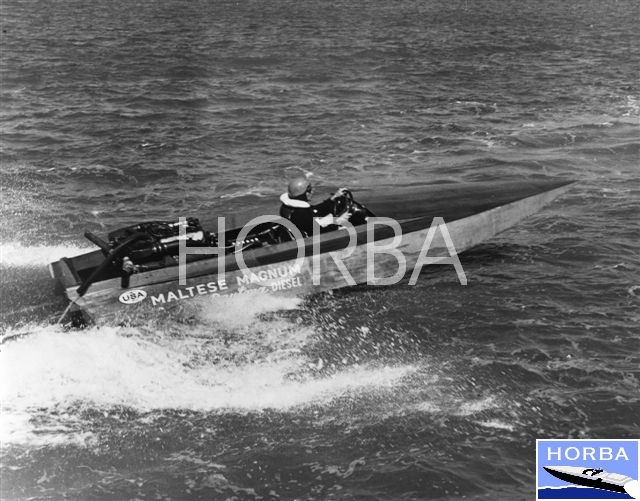 The famous 007 catching up to an early Bertram race boat. 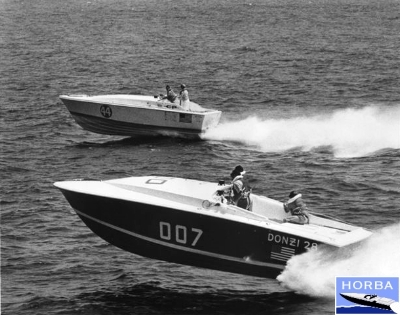 007 won the Miami Nassau race and established Don's second company, DONZI, as a force to be reckoned with. 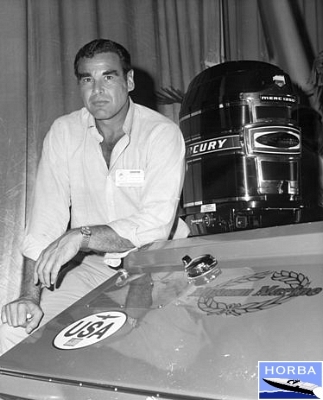 The power behind the throne. "Pop" Meekins, a top marine mechanic in Miami, became the one Don turned to for getting the most out of an engine. 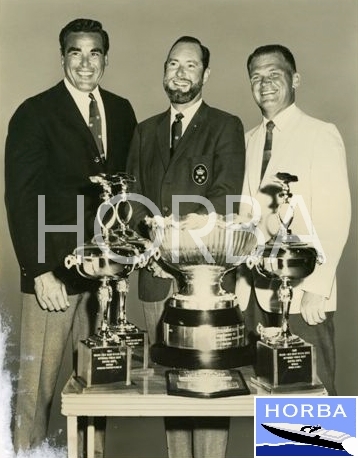 Don is seen in the background enjoying the satisfaction of another overall win. 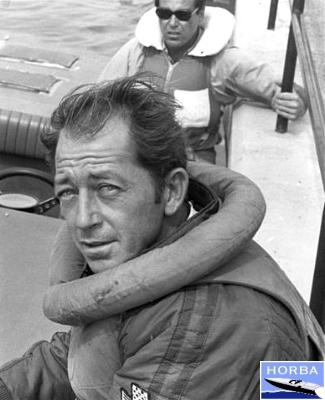 Knocky ... with a name like that, who else would have been better suited to be Don's riding mechanic on many of his greatest wins and adventures? Don and Knocky House celebrate a Miami to Key West race victory. This was Don's real office ... the cockpit of THE CIGARETTE. Don admiring the lines of his model of THE CIGARETTE. 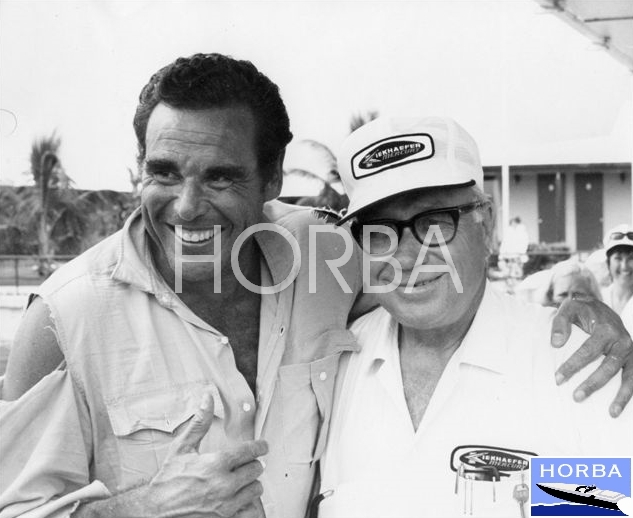 Don and Carl Kiekhaefer were not always this happy with each other. 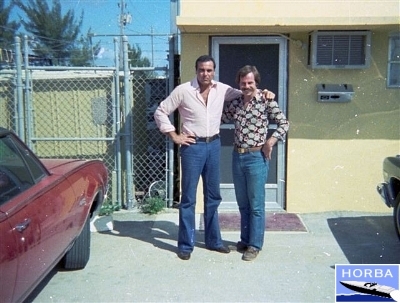 They each had what the other needed and sometimes it produced a very rocky relationship. 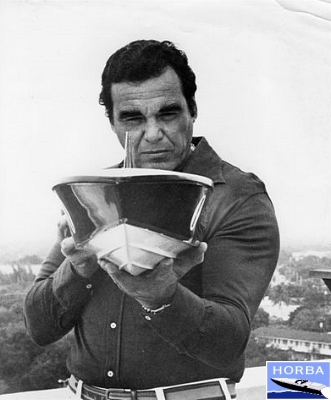 Don wasn't always the master of the ocean. Here he is seen setting a new speed record for diesel powered boats. 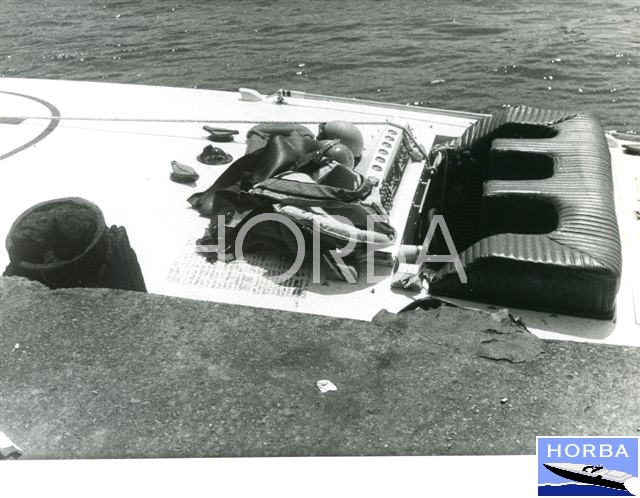 He used a special one off Magum tunnel boat. Location ... well, it was in a canal along side a road in Florida. 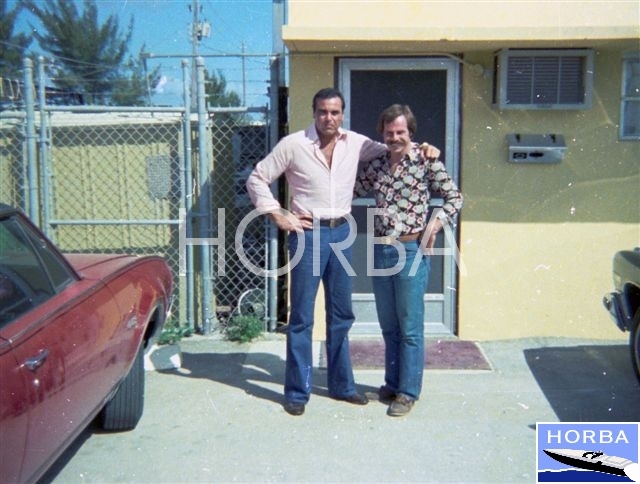 From a friendship that started in Miami in 1963, Don also helped HORBA managng director, Charlie McCarthy, start banana boat co by selling him molds from the Cigarette company and advising him on everything from racing to marketing. 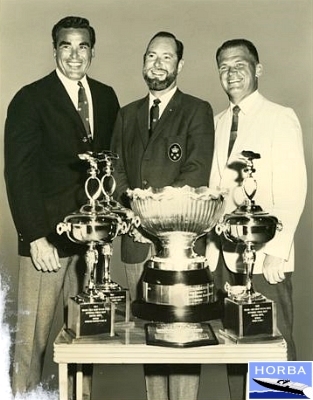 From left to right, three World Champions: Bill Wishnick, Don Aronow and Vincenzo Balestrieri. 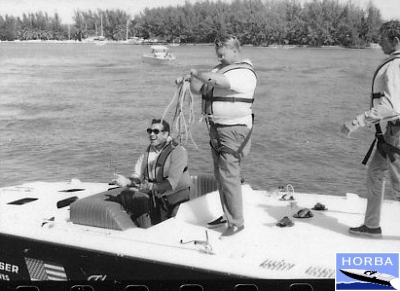 Don races his "banana boat." 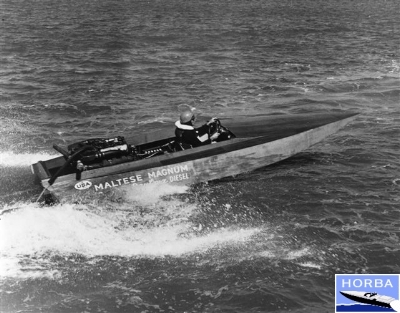 He built this experimental race boat with a beam that was less than 7 feet. 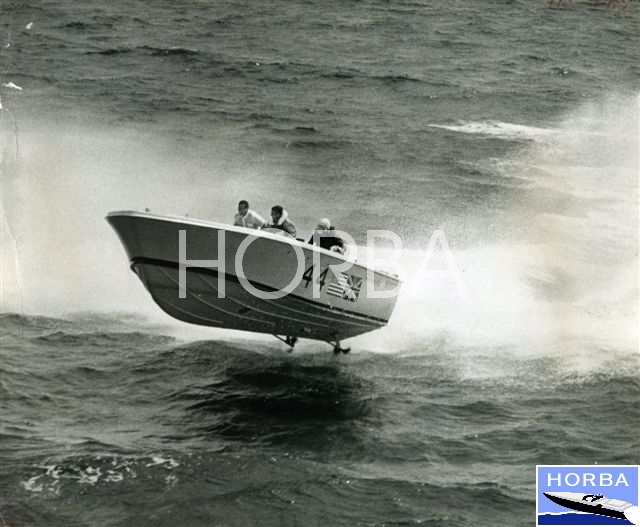 The boat was very fast, but also very unstable. He decided against racing it again and sold it. 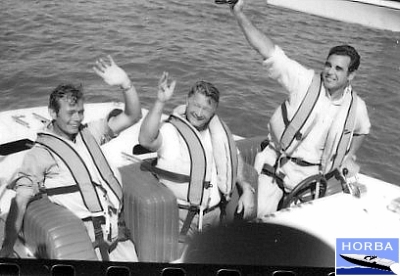 The winning crew of THE CIGARETTE. 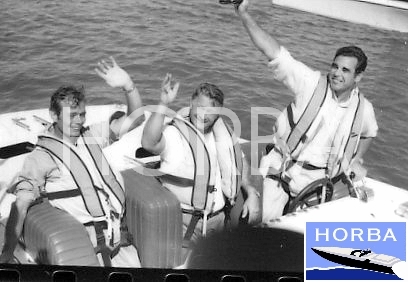 From left to right, Barry Cordingley, Knocky House and Don. Don loved to win. 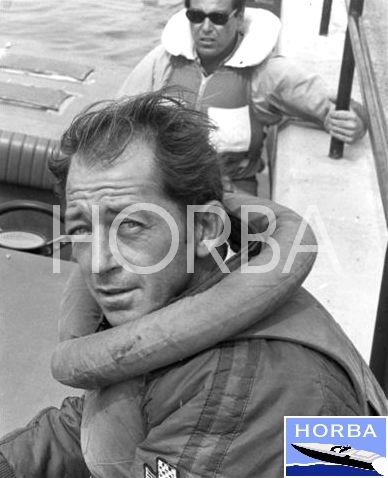 You can see the joy in his face as the crew members prepare to tie up the boat. 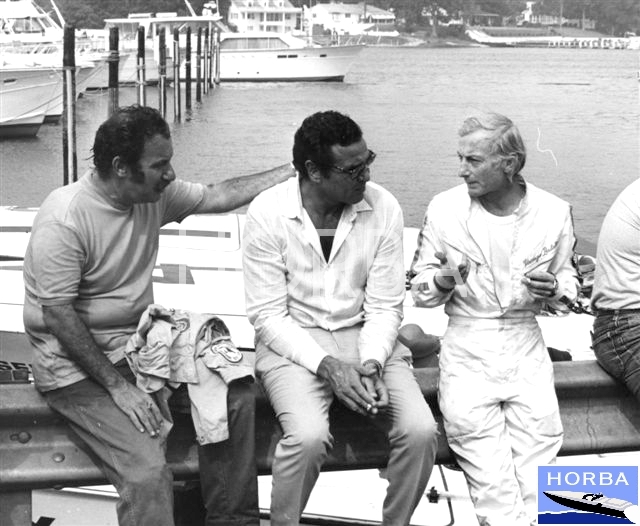 Don and the two designers he used to start Formula Marine -- Jim Wynne (center) and Walt Walters. 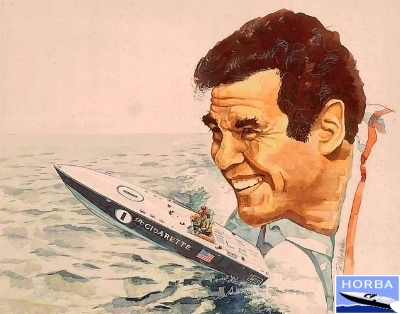 Don looking pretty happy as he shows his new Magnum Missile at a boat show. © Copyright 2005-2017 Historic Offshore Race Boat Association. All rights reserved.